Shareholders will vote on Martin Sorrell's pay package in June. Small shareholders have had enough of the bumper pay packages awarded to top British executives. ShareSoc, the UK Individual Shareholders Society, says executive pay should be cut by at least 50%. The group published new guidelines on Friday. It wants annual bonuses for the CEOs of Britain's biggest companies to be capped at 100% of salary, compared to the 200% currently common. Longer-term incentive awards should also be limited to 100% of salary, rather than 300%. "We are deeply concerned by the continuing trend towards excessive and unnecessary CEO remuneration," said ShareSoc chairman Mark Northway. Related: Is this CEO worth 1,444 times what he pays his employees? The backlash over executive pay is growing, as more investors question the discrepancy between lower returns and rapidly rising salaries. They're also worried by the widening gap between average pay and salaries at the top. Deutsche Bank (DB) became the latest big company to face a shareholder revolt over executive pay on Thursday, after investors in BP (BP) and Weir (WEIGY) rejected CEO pay deals last month. 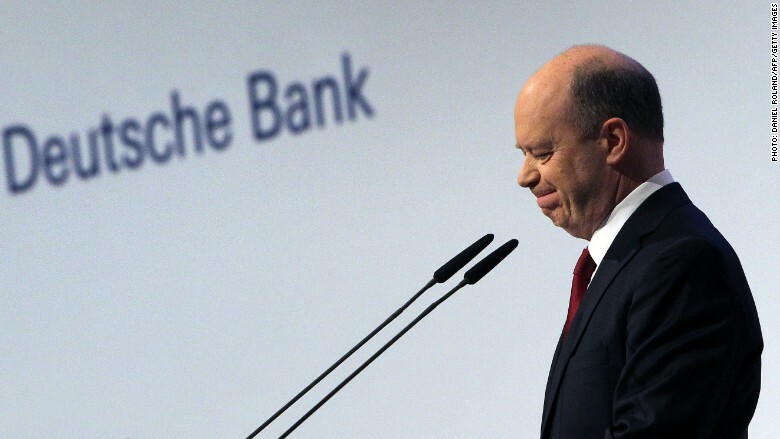 Deutsche Bank shareholders voted against its executive pay packages on Thursday. Anglo American (NGLOY), Standard Chartered (SCBFF), Citigroup (C), Renault (RNLSY) and Shire (SHPG) have also faced shareholder rebellions, although on a smaller scale. 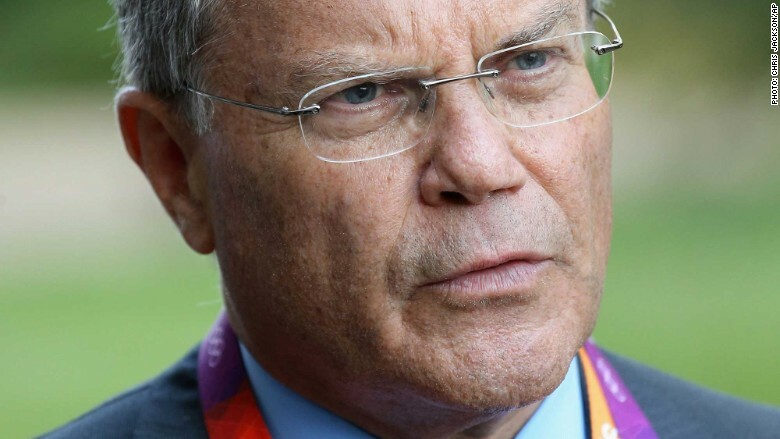 The next big showdown is expected in June over the pay of Martin Sorrell, the CEO of advertising giant WPP (WPPGF). Sorrell made £70 million ($102 million) in 2015. That's 1,444 times the average pay of WPP's 125,000 employees. WPP's shareholders have enjoyed rising dividends and capital gains in recent years. But ShareSoc has advised its members to vote against Sorrell's pay, saying it's "far too high." Shareholders have the backing of some C-suite executives too. The Executive Remuneration Working Group, set up by the Investment Association last year, has described the current approach to executive pay in U.K. listed companies as "not fit for purpose." The working group pointed out that while the FTSE index is trading at broadly the same levels as 18 years ago and 10% below its peak, executive pay has more than trebled over the same period. It also criticized the increasing disparity between average wages and executive wages.